Supporting plants | Enchanted Plants Ltd.
We always wanted our products to support the very things that make them so beautiful to use, plants and flowers and we're so proud to of been supporting Plantlife since we opened our first shop in 2007 and ten years later we are corporate patrons of Plantlife and continue to do all we can to keep them doing their amazing work. The money raised from our business supporters goes directly towards protecting our wildflowers and plants and enables us to do more vital conservation work. Enchanted Plants has formed a corporate partnership with Plantlife UK. 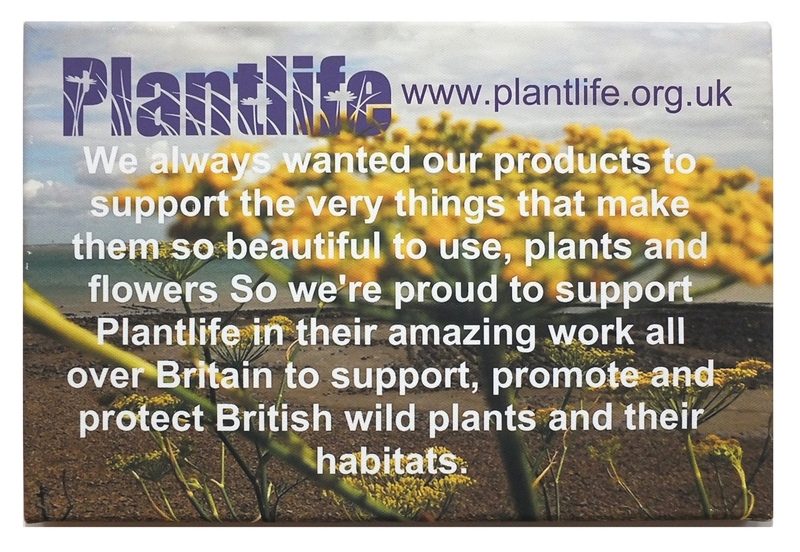 Plantlife are a really lovely charity please visit the Plantlife website by clicking this link Plantlife They support, protect and promote Britain's wild plants and their habitats. They do amazing work to help keep Britain beautiful, We feel it's so important to give back in life, so in donating to Plantlife, the beauty of the plants and flowers in our products are directly supporting those in the wild and by buying our products you know you are also helping to support the very essence of what makes our products so beautiful to use. We would love your support in keeping your skin beautiful - and Britain too! Plantlife is actively seeking new opportunities to work with business. We have a devoted membership, significant expertise and growing influence. Our agenda is huge - we are only constrained by resources. We rely on the generosity of organisations to help us carry out our vital work. Your support would enable us to do more to protect and conserve our native wild flowers and plants - and all the forms of nature that depend upon them - at a time of increasing pressure on the natural environment. Plantlife is the charity that speaks up for our wild flowers and plants.